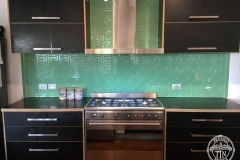 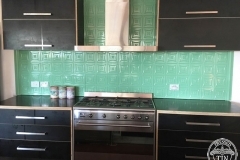 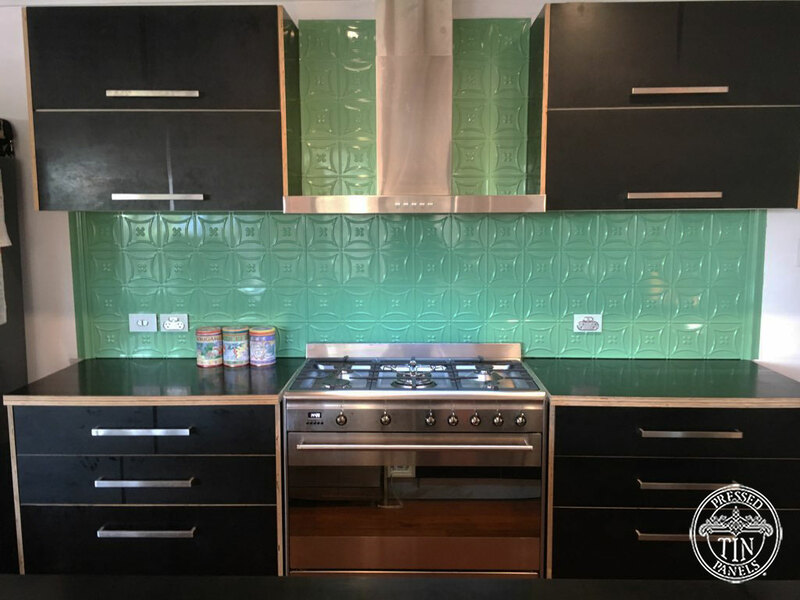 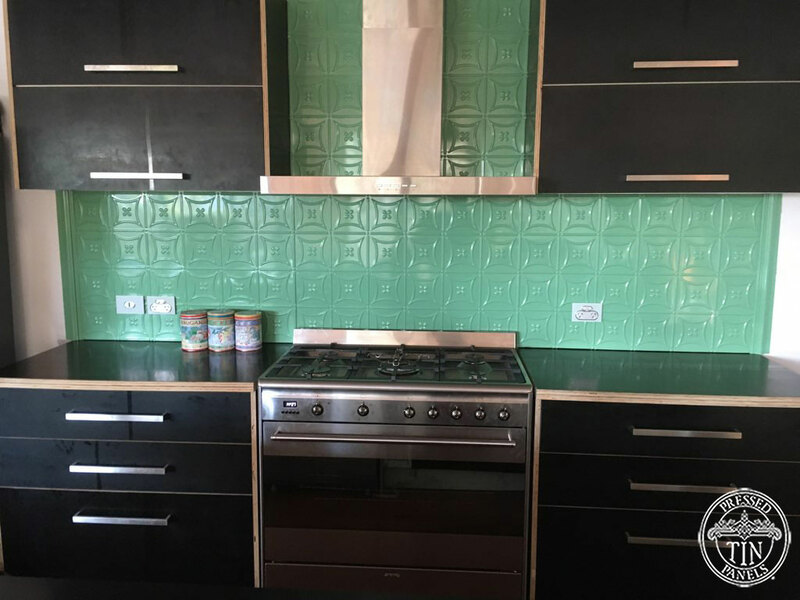 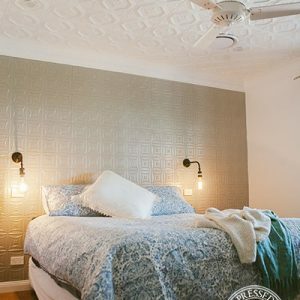 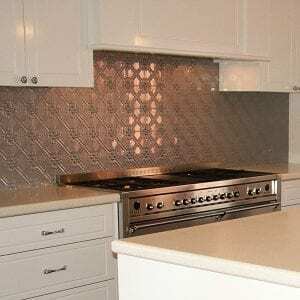 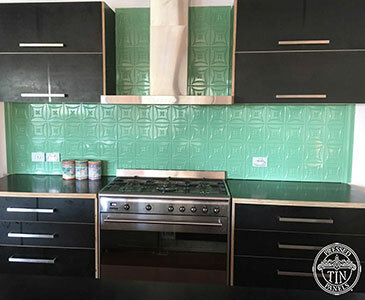 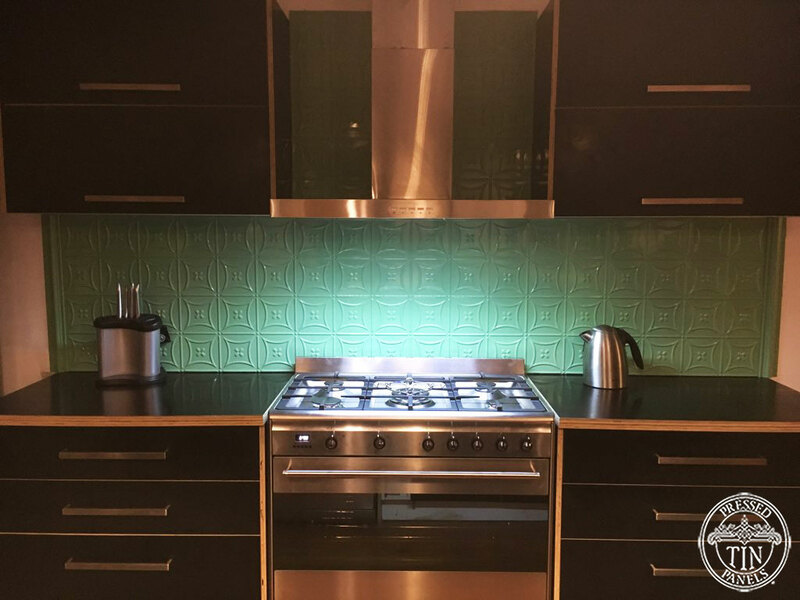 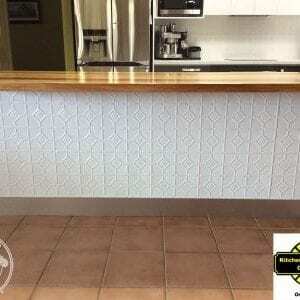 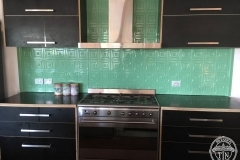 The Carnivale pattern installed as a kitchen splashback in this modern kitchen upgrade. 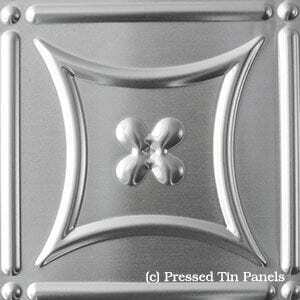 Framing the panels in the Border Small. 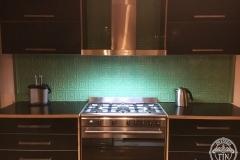 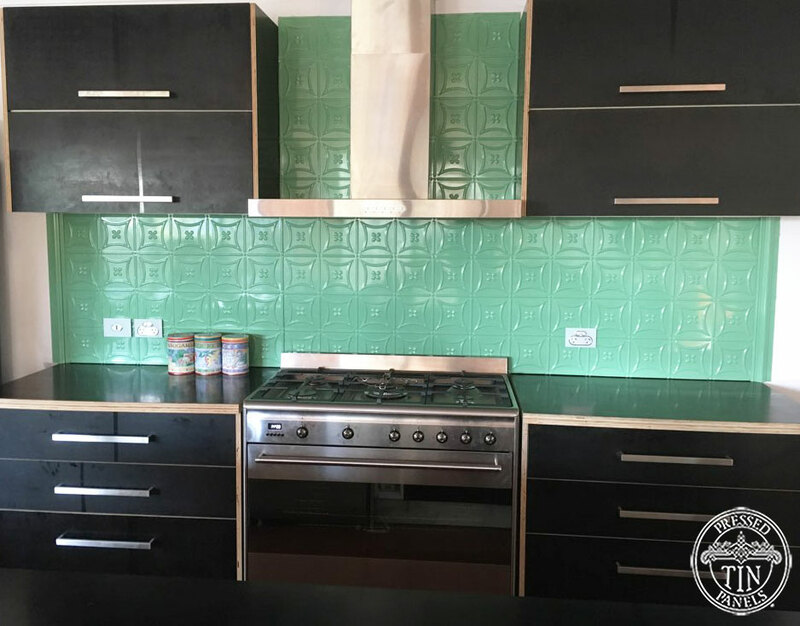 The panels are powder coated in Oxytech “Serpentine Green” to create a dramatic contrast to the black cabinetry.